Remember those old, poorly translated browser games from, like, a decade ago? You know, the ones where you're trapped in a room with a screwdriver, a paperclip, and five marbles, and you have to escape in 30 minutes before a bomb goes off or something? You should really play some. They're classic, mind-bending, and occasionally frustrating, but always fun. Some entrepreneurial folks around Chicago saw fit to create real-life versions of these games so that intrepid puzzle-solvers could put their wits, teamwork, and patience to the test -- with friends! Here are a few of our favorites. Escape Artistry is a Chicago escape-room mainstay, for good reason. Their “Railcar" escape room is not just impeccably designed with amazing puzzles, but features an honestly great story to boot. 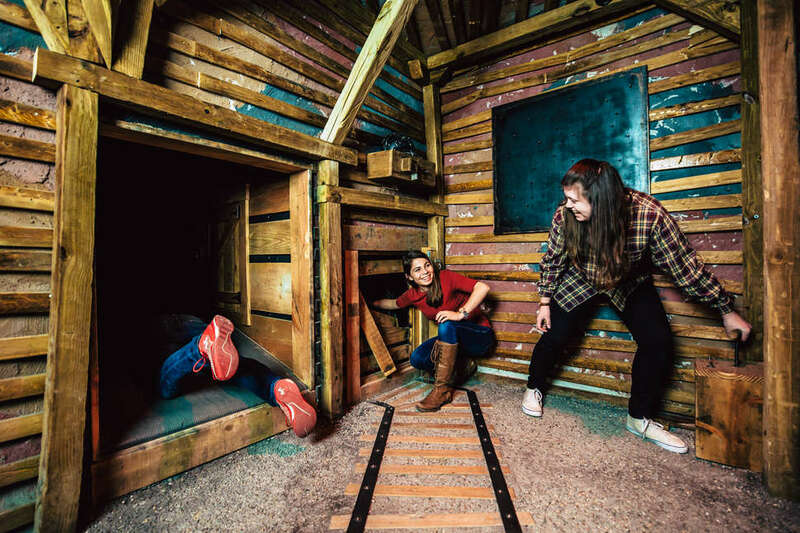 Their newest attraction is the Time Gallery, a collection of five distinct escape rooms, each taking place in a different era of American history. Save the world from nuclear destruction in 1954, take down John Dillinger in 1934, or escape ruthless turn-of-the-century Lake Michigan pirates in 1908. Just be sure to have an array of time puns at the ready when the hosts tell you how long you have left to solve the puzzles. Though Fox in a Box has three other rooms -- The Lab, The Prison, and The Bunker (what is with the obsession these companies seem to have with nuclear war?) -- our favorite is The Bank, a high-octane experience that sees you and your group breaking into a safe full of diamonds. And as an added bonus, Fox in a Box will book rooms for individual groups, so you will never be matched up with strangers! PanIQ Escape Room features three different experiences, but we’re partial to The Infection, where you and your group are infected with a hyper-powerful weaponized virus in a super secret government lab, and you have only one hour to find the antidote and cure your entire team before you succumb to the disease -- so, you know, no pressure. 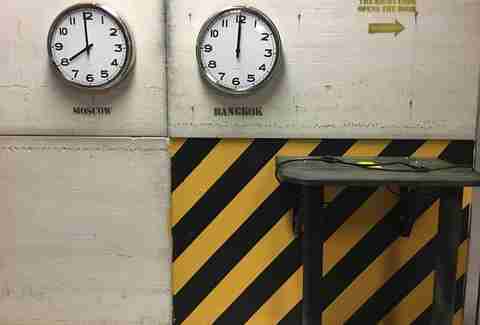 The Escape Game Chicago may be the city's single best escape room. They have an entire imagineer-like cadre of in-house designers that work around the clock to create amazing room escape experiences with incredible attention to detail. They’re proud of it too, detailing the insane process of designing these rooms both on their website and on their YouTube channel. 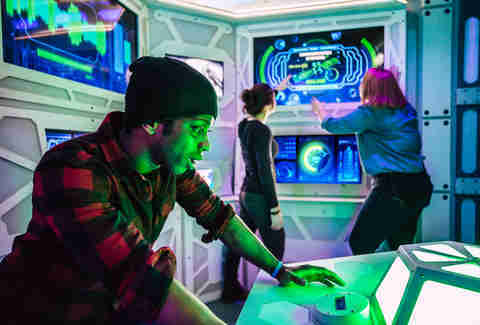 Our favorite room they have now is Mission: Mars, a hyper-futuristic, puzzle-solving experience that -- uniquely for escape rooms -- does not feature a single locked door, box, or cabinet. Room Escape Adventures struck a chord with puzzle-solving Chicagoans when they introduced Trapped in a Room With a Zombie, a Walking Dead-esque twist on the escape room genre that adds some horror to the mix. Every five minutes, a chained-up zombie’s leash is extended by a certain distance, so be sure to use your brain, because if you don’t, the zombie in the room will enjoy it for dinner. 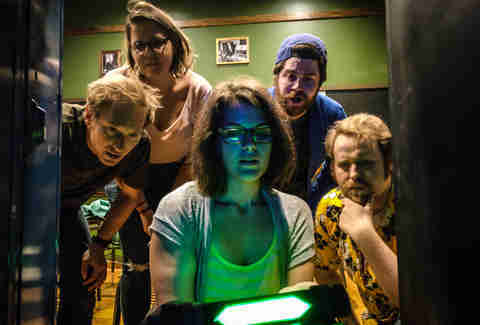 OK, so it’s not an official Rick and Morty escape room, but The Portal Room at Brain Drain Chicago does have players bending the rules of space, time, and reality in order to save a companion before all timelines collapse in on themselves and reality breaks. What's not to like about that? 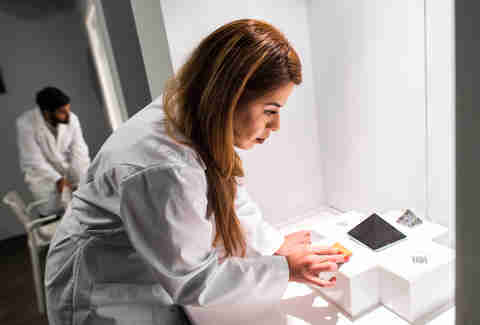 EscapeHouse Chicago has a Save the White House escape room, but luckily for those of us who may not be feeling particularly inclined to join the Secret Service these days, its other room is tons of fun, too. Escape the Safe House is a spy-themed adventure that will certainly scratch your James Bond, Get Smart, Man From U.N.C.L.E., and quite possibly even Secret Squirrel itches. Sam Greszes is a Chicago-based writer who contributes to Kill Screen Magazine, GameSkinny, and ION Magazine.